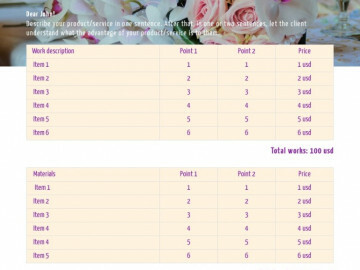 Do you want to create an official price list or write a formal sales quotation? Make it on the Wilda online builder. It's much more simplier than in Word. Choose any from professional designed samples or modern quote templates, correct both form and structure: service, project, product or work. If you already have price sheet in Excel, load it directly into the Wilda online editor. 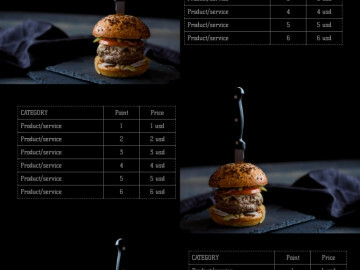 Download your ready price list to the computer in pdf, jpeg, and png format or share it as html file on the Web. Find out about additional opportunities of Wilda's software to promote your docs using free Publishing service. 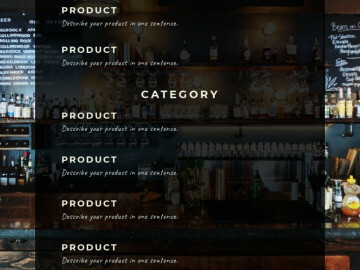 What the format of the price list should I choose to send to the customers? The most preferred format is pdf, because if your customers want to print it, the quality will be high, and links will be active. And if the price is multi-page, then all the pages will be inside a single file, whereas in jpeg pages will be separately. Can I save the price in psd format to edit in photoshop? You can't save in psd format , but for editing in photoshop you can save the price in pdf. 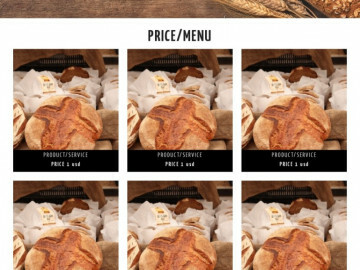 Can I replace the pictures in the price list header or background? Yes, of course, any pictures can easily be changed to your own. You can also add, delete, rearrange any images, texts or background blocks. Can I export data from a CRM? No, but you can export data from Excel. It's very simple and takes a couple of minutes.